Here is one of my favourite Etsy finds..
Montreal based designer, Melanie Audet of Curious Little Bird, has gone from strength to strength. 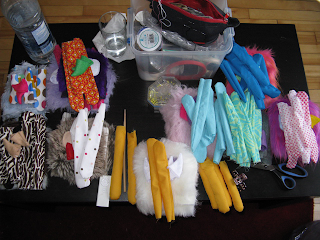 Melanies success is visible from the craft and love she puts into creating her monsters. I am really excited to feature Curious Little Bird. Melanie has kindly agreed to share her work with me and answer a few questions. Inspirational, I hope you enjoy reading about Melanie and Curious Little Bird. I went to school 8 years ago for Graphic Design and Illustration, and worked in that industry for the past 7 years. I lost my job in January of 2011, and spent the better part of the year looking for work. At some point I started making more monsters, and a few months later I could tell how well received it was. Plus, I was having fun making monsters. In July I had decided to start my own business making monsters, and approached the government when I heard of a program that helps new entrepreneurs start their own business. They provide weekly courses, counselors to help with the business plan writing, and even financial assistance to pay for rent and bills. This program is only offered in Montreal, and it's called SAJE, and I was very lucky to be considered as well as accepted into the program. :-) It's a year long program, and the first 3 months are all business plan writing which is dull, but necessary. Everyone says a good, well thought out business plan leads to a great business. - You are super talented and very creative, what and who inspires you? 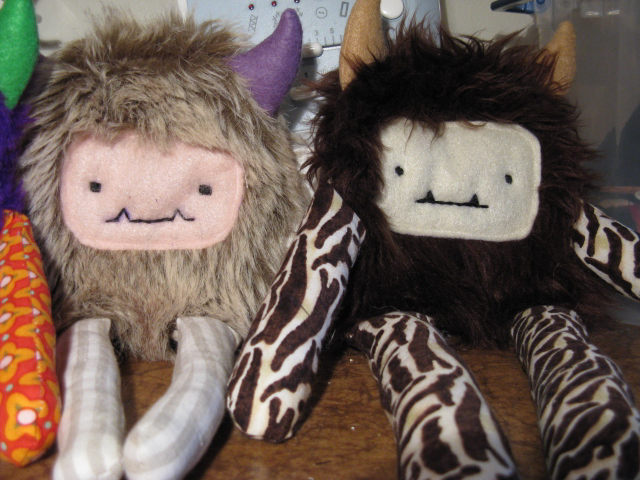 I get inspired by other plush artists I see on Etsy, and sometimes by people. I don't have any specific people on Etsy to mention, but it can be a colour here, a fur choice there. One time I met this little blond woman with these really big, black glasses, and I was inspired to make a hipster bunny. I never know where this inspiration will come from. - I love the fact each of your monsters have a name and personality. are they based on people you know? 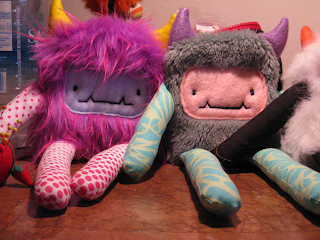 Sometimes the people in my life are the inspiration for my monster's names, but their stories are all pure fiction. I have a really vivid imagination, and I will just prattle off a story from the top of my head. Is it weird that they have people names? :-) I don't think so. My monsters are your new best friend! - Do you keep a sketchbook? I have several sketchbooks. I have so many, in fact, that I think my apartment would burst into flames quite quickly. Most of my sketchbooks are from my college days when I was studying illustration, but I do have one book that's only full of monster ideas. I have another one for fun sketches when I feel like I need to draw. - would you mind showing us the work in progress for one of your monsters? Sure! These are photos of me hard at work in September. 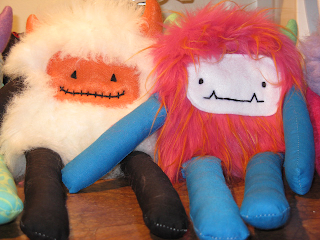 I had just started selling my monsters in a few shops in town, and getting prepared for the upcoming fair in October. Here is a pile of cut out furry bodies, faces and horns out of felt, and arms and legs already sewn but still inside out. Here they are sewn together, but not stuffed yet. Aren't they cute? 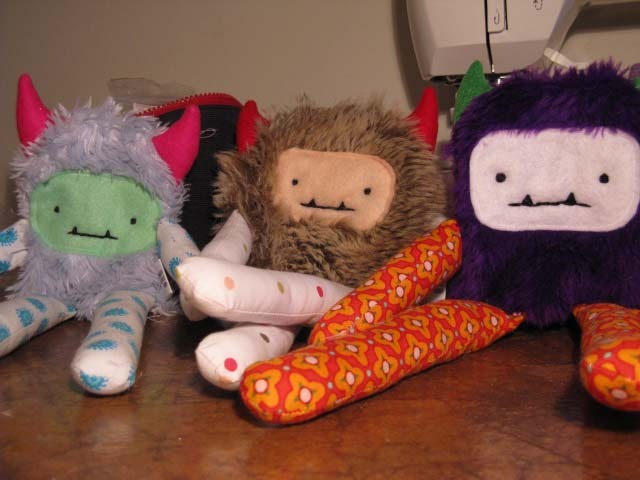 - Sewing is an awesome skill to have, tell us where did you learn to craft these well made monsters? Good question! I've always been a crafty person. I took a sewing course when I was 17, but I think it was to learn how to use a sewing machine. I've been able to make bags, simple backpacks, purses, since I was 20 years old, and a few years later I progressed to making pants. Monsters aren't much different. 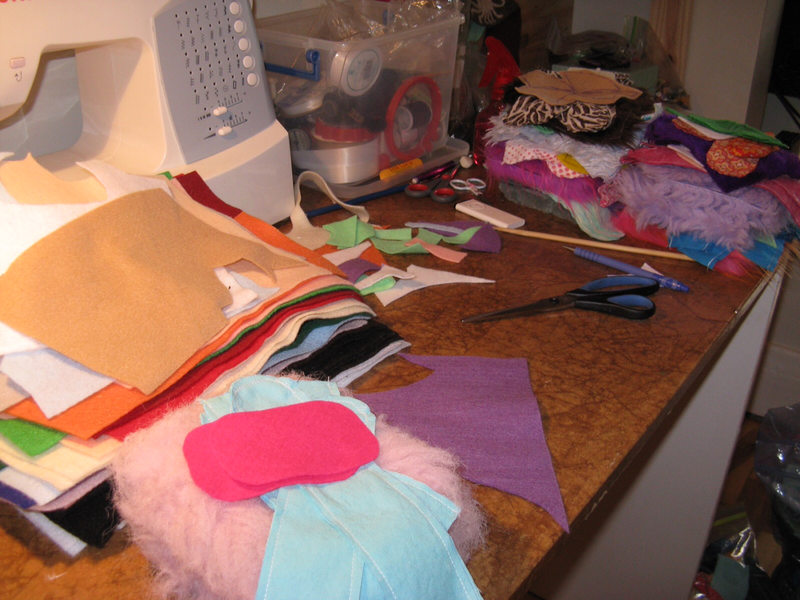 The only really challenging part is sewing with fur. Not the easiest material to work with, but looks great when it's done! - where do you see yourself in a few years time? I was asked the same question in one of my business classes, and I think in 3 years I'll be really busy, have my own monster shop open, and a small selection of employees helping me to keep up with orders. :) This is my ideal future self. If I'm really lucky, I'll find a store with an apartment directly above, so that my commute will be short. Thank you Melanie, for sharing with us.